from the Touchet River. The orchardist says he will appeal the fine. A southeast Washington orchardist has been fined $73,530 for illegally drawing from the Touchet River in Columbia County, the state Department of Ecology said Wednesday. Warren Orchards used an estimated 90-acre-feet of water to irrigate 100 acres after receiving a shut-off order July 9, according to DOE. Dayton orchardist Bill Warren said he planned to hire a lawyer and appeal the penalty to the Pollution Control Hearings Board. He declined to comment further. The orchard and 66 other irrigators with 1923 water rights to the Touchet were issued the notices because of low river flows. DOE staff members reported seeing the orchard irrigating at night Aug. 18. "We got a few complaints from other junior users, and we went to investigate it," DOE spokeswoman Brook Beeler said. On Aug. 22, DOE ordered Warren to disconnect his pumps and provide water-meter records. The records showed that the orchard had used 174-acre feet since May, Beeler said. DOE estimated that the 55 acres of apples and 45 acres of pears would have needed about 83-acre-feet of water by July 9. The DOE assumed the other water was used during the 44 days from July 9 to Aug. 22. The illegal water use reduced the flow for farmers with more senior rights and endangered fish, according to DOE. DOE valued the water at $817 an acre foot and multiplied by 90 to calculate the penalty. DOE based the water's worth on a precedent set in August when the department fined the Touchet Eastside Westside Irrigation District. The irrigation district also was accused of illegally using 90-acre feet and fined $73,530. Although Warren Orchards is not in the irrigation district, it is in the same basin, Beeler said. DOE alleges the Touchet irrigation district reneged on a deal to keep more water in the river for steelhead. The district made the pledge in exchange for state money for irrigation pipes. Based on the public's investment, DOE calculated the water that was used illegally was worth $817 an acre foot. The district has said it had technical problems with meters, but that it has been meeting its overall obligation to forgo water and is committed to keeping its pledge. The district has appealed to the Pollution Control Hearings Board. A hearing is set for April 25 at a location to be determined. 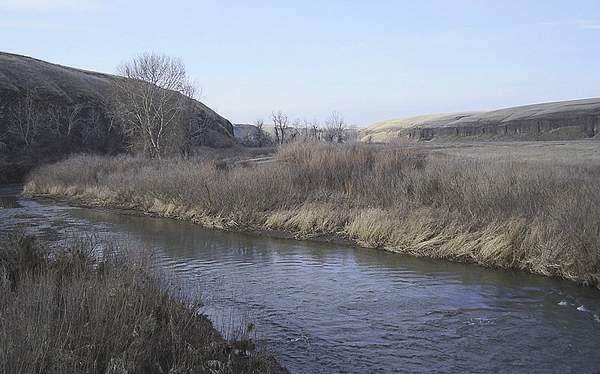 The Touchet River is a 55-mile tributary of the Walla Walla River.